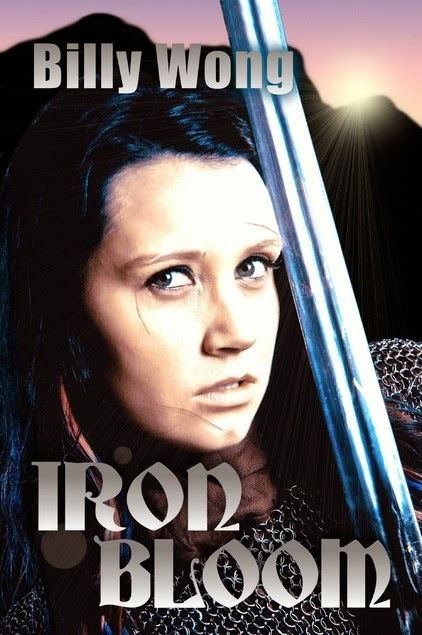 Billy Wong's "Iron Bloom" follows Rose, a good-hearted, determined young woman, who uses her prowess as a warrior for good. She becomes disillusioned with fighting when she falls in love, but then an impending invasion brings the allure back to fighting. One thing to know about this book is there is a lot of action. It's every action fans dream. The action scenes are well-written and do not drag on. Every attack, parry, and step is written in a way that makes you feel as though you are there. The characters are interesting, especially the multifaceted Rose. I'm someone who doesn't like a lot of lore in my fantasy, so I was happy that this book doesn't bog you down with two millions years of elf history. The plot has enough twists and turns to keep you reading, but the action is by far the biggest draw of this book. Overall, if you're a fantasy fan looking for a new book, "Iron Bloom" is a must-read.